1. Create a list of your intentions and goals when you get to work in front of a screen. Make it visible. Create it with paper and pencil, or use an online task list. If you find yourself straying from your intended tasks, having the list will help create awareness of your online habits and attention patterns. Howard Rheingold makes this suggestion in his outstanding book Net Smart: How to Thrive Online. Not all to-do lists are created equal, of course. 2. Turn on your cell phone ringer. I’ve decided that, unless I’m in a meeting or a public place that warrants a silent phone, it’s much more efficient to pick up the phone. Even if I don’t recognize the number. Phone tag is on the verge of becoming an Olympic sport with some people’s penchant for constantly screening calls or keeping ringers on silent. Remember when we had land lines, and somebody in the house would rush to answer the phone, no matter what, with the exception of dinnertime-interrupting telemarketers? 3. Work in focused, twenty to thirty minute bursts. This works for me. Whether I’m lesson planning, writing a blog post, or checking off tasks from my online “to-do” list, I like feeling engaged in one thing at a time, chunking productivity followed by leisurely distractions. After the burst, take a break. Check your Twitter Feed or personal e-mail. Browse your favorite blogs and news sites. Get your hyperlink and multitasking fix, then get back to another burst. Depending on what you are doing online, sometimes it’s advantageous to have multiple tabs or windows up. As I write this blog post, I’m readily accessing other articles and blogs to link to. 4. Pursue a technology-free hobby (or close to it). For me, this includes gardening and bow-hunting. There are so many worthwhile–and mindless–pursuits online, and it doesn’t surprise me to hear students exclaim that their free time is swallowed up by social media, gaming, etc. But to lead a balanced, active life, I believe it’s unhealthy to do too much of anything. The onus is on teachers and parents to help set guidelines and teach young people to find balance. 5. Disconnect once a week for a full day. This one is tough. I haven’t built it into my repertoire, as I’m a voracious reader, enjoying tapping into multiple online news and commentary websites on a daily basis. As the school year starts, there are countless ways I use computers to facilitate lesson planning, parent communication, and professional writing/networking. Saturday will become my computer disconnect day this school year. Want to take the challenge to the next level? Keep computers and cell phones off for one day a week. I’ll touch base later this fall with a report on how well I’ve achieved tip #5, assessing whether or not it’s worth it. Do you have any strategies for balancing screen time with other pursuits? Are there some ideas you’d personally add to this list? 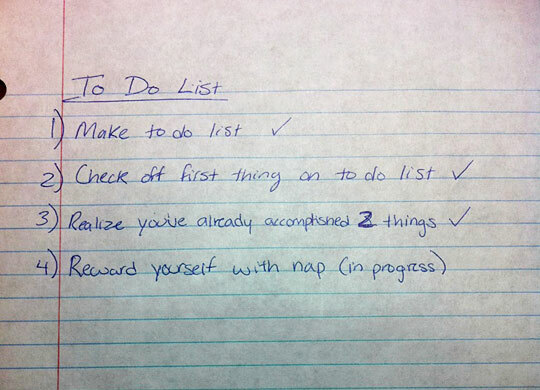 Using more “to-do” lists really helps me stay on track. So simple, but the visual reminder of things I need to do offline serve as the constant reminder if what I’m doing digitally is making it less likely I’ll get done the other stuff. Good tips. Yeah I do feel like I’ve been turning into a bit of a techaholic, so I should find a way to unplug. Although “disconnecting for a full day” is a lot harder than it sounds, I seem to find myself wondering what I could be missing online while I’m taking a break. Maybe its just something you have to get used to. You can share a book for about 2 weeks, and only one time. It’s a rip-off, really, because they want you to buy more of their books. There’s probably a way to “share” or give someone a book electronically, no? Perhaps the digital booksellers are conspiring against traditional libraries and other booksharing! I like the Kindle a lot, but I’d only recommend it for personal reading. Any book for research or any book you want to share is better off in paper. Lucky for me my income is based on doing the things that others are not willing to do, or doing it better. So I don’t need to motivate others to do this, its better for me if they don’t! This is a HUGE challenge I face with students who I engage using technology. They have a harder time than adults with sticking to a task. When they’re editing a photo story, for example, I find some students who spend 80% of their time on Twitter, and 20% on the assignment. I’m working on strategies to shift the balance! I think it mostly comes to discipline. It takes very clear outcome based activities to stick to something as rigid as chunking. We are all suffering from internet ADD. I am an efficiency student. I try to find the most efficient way to get to my end goal. So you dont need to sell me on the concept. I just have not found that many people with the commitment required to pull something like this off. I am glad to hear you express the same concerns. I am in the midst of the same kind of questioning. I’m constantly trying to adapt and figure out why and how I should deal with the barrage of gadgets, connectivity, lifestyle, and professional choices with technology. I don’t ever want to feel like I’m a cog in the machine, mindlessly accepting whatever is thrown my way! I really enjoyed the advice.I realize its importance and am trying to find ways to make it come to life in my life. I see. What you are targeting isn’t really being connected in itself, men constantly switching attention between distractions and not engaging fully in anything. Like AHDH has become an integral part of youth culture (based on your experience). And you are making the assumption that people are under-developing their ability to memorise things because they always have information readily at hand. I agree to some extend, but not really. I grew up long before the Internet and mobile phones e.t.c. and was never good at neither memorising nor multitasking. I spend many hours online, but usually engaged in a few activities, like researching information or writing. The Internet provides an opportunity to learn and communicate without having to deal with a lot of irrelevant, stressing and tiring tasks like going places, finding the way, having to chat with people about irrelevant things e.t.c. I didn’t communicate more with people before the Internet but less, and had much less practice in communicating and much less knowledge in general and specifically about how different kind of people would think. So I don’t buy into the ‘technology is bad for you’ rumours.I haven’t seen any real, substantial evidence other than the gut feelings of people grew up long before the Internet and who spot some trends and draw causal conclusions based on correlation. Even as my buddies and I made some apple cider this weekend, we pulled out our iPhones to figure out how to work the cider press. Of course, this type of technology use, I think, can enhance what you’re doing or exploring. Do you like your kindle? I read almost everything online, except novels. Something is comforting to me about seeing my books everywhere. If you’ve observed that few people can successfully focus on one thing at a time online, what do you think is the number one reason why they can’t pull it off? That’s interesting. Perhaps many people don’t “chunk” because they haven’t stepped back and realized what their online habits are doing to their productivity. Clicking around from link to link and tab to tab can become reflexive. I know I’ve caught myself opening websites, then almost felt like I had no control over the action! Sounds like you’ve got some great outdoor/adventure pursuits! I’ve written a lot about the why in previous posts, so I’ll link you back to a few. My concerns relate to working memory, multitasking, and interpersonal skills, especially with today’s students. Thanks for stopping by Mindful Stew. As constant connectivity becomes more and more integral and tempting in daily life, it’s wise to step back and reflect on how you utilize online tools. 4. Pursue a technology-free hobby (or close to it). Your seem to build your advice on the assumption that constant/frequent connectivity is bad, but you don’t say why you think so. that chunking thing is a great strategy, I find the people that are able to do it successfully are very few. Even those that understand the concept don’t have the discipline to pull it off.